Stanley Gibbons No. : 1129. Scott No. : 1012. No Exclusions. Condition: Mint Never Hinged. Stanley Gibbons No. : MS1191. Scott No. : 1062a. Date of issue: 23 October 1967. No Exclusions. -:- The item you receive may not be the item scanned, but will be of similar quality. No Exclusions. -:- The item you receive may not be the item scanned, but will be of similar quality. Year of issue: 1956. Brazil Scott # 511 MH. 9,50 EUR prix catalogue, selon Michel Südamerika 2010. सस्ता पाया?. हमें बताइए! LAISSEZ NOUS SAVOIR! Più conveniente altrove?. FACCI SAPERE! Make Supersized Seem Small. Get Images that. सस्ता पाया?. हमें बताइए! LAISSEZ NOUS SAVOIR! FOUND CHEAPER?. LET US KNOW! LAISSEZ NOUS SAVOIR! Aviation Semaine Miniature Feuille Sg:Ms1191. Neuf sans Charnière. SG : MS1191. Mint sans charnière. Voir Scan. Number SG: MS1191. Topic Aviation. Year of Issue 1967. Stanley Gibbons No. : 1276. Year of issue: 1969. -:- The item you receive may not be the item scanned, but will be of similar quality. No Exclusions. We have tried to call this out when we list a strip that has been folded. Direct communication is always the best way to fix an issue. AND ALL POLICIES. If there is a fault we will describe it. We appreciate your cooperation with this. :- The item you receive may not be the item scanned, but will be of similar quality. No Exclusions. Condition: Mint Never Hinged. Year of issue: 1973. 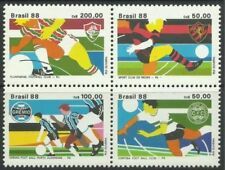 (L) 1920 BRAZIL, AVIATION A75 1004 ORANGE, RUY BARBOSA A85, 1000R CLARET, WE COMBAT TUBERCULOSIS, 100R, CIRCULATED COVER FOM BRAZIL TO GERMANY, XF. International bidders PLEASE scroll down and read ... Bitte kein Gebot ohne Lesen der Versandbedingungen. S. Scan VERSAND ausschließlich per Einschreiben, sorry keine Ausnahme Standard/Kompaktbrief 3,30€ Bis zu 4 Wochen für Kombiversand sammeln, Porto nur 1x, ab Großbrief, ü50g 4�� Maxibrief 5,50 nur als Übergabeeinschreiben, alle anderen als Einwurfeinschreiben,Uebergabe auf Wunsch Bei Mehrfachkauf BITTE IMMER korrigierte Kombirechnung abwarten !!! I ship worldwide but ONLY REGISTERED Small letter 4,4€ Combine purchases for up to 4weeks without additional cost unless size weight require next level, medium size letter 6,80€ IF BUYING MULTIPLE PLEASE WAIT OR ASK FOR COMBINED INVOICE !!! No Exclusions. -:- The item you receive may not be the item scanned, but will be of similar quality. Date of issue: 17 October 1977. 6,00 EUR prix catalogue, selon Michel Südamerika 2010. 3,60 EUR prix catalogue, selon Michel Südamerika 2010. Stanley Gibbons No. : 1190. Condition: Mint Never Hinged. 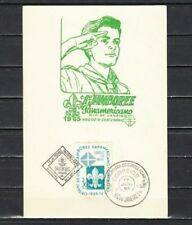 Year of issue: 1967. You think price is not right?. No Exclusions. 3,40 EUR prix catalogue, selon Michel Südamerika 2010. 5,50 EUR prix catalogue, selon Michel Südamerika 2010. Zölle und Gebühren anfallen. (z.B. Schweiz, USA, China) können zusätzliche. nach §25a UstG (Sammlungsstücke und Antiquitäten/Sonderregelung). Brésil. 1967. aviation week miniature feuille. sg: MS1191. neuf sans charnière. Aviation Week Miniature Sheet. SG: MS1191. Mint Never Hinged. The flat rate cost of this service is £9.99. 5,50 EUR prix catalogue, selon Michel Südamerika 20. 4,50 EUR prix catalogue, selon Michel Südamerika 20. Le Brésil. 1941. AVIATION WEEK commémorative. SG: 666. NEUF sans charnière. Mint Never Hinged. The flat rate cost of this service is £9.99. 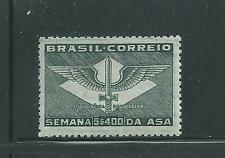 (O) 2016 BRAZIL, AEROPLAN- WAR PLANES. NAVAL -AVIATION MARINE, MNH. 30,00 EUR prix catalogue, selon Michel Südamerika 2010. No Exclusions. You think price is not right?. -:- The item you receive may not be the item scanned, but will be of similar quality. 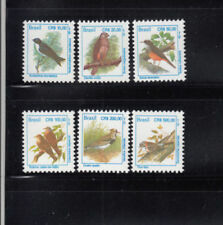 Year of issue: 1980. 36,00 EUR prix catalogue, selon Michel Südamerika 20.